An arrest has been made. Thank you Lord above, law enforcement, city officials, communities and individuals everywhere who supported us during this difficult time for us. We are well aware that you were bothered by this ordeal. The rule of law continues and so does the human concern and care for fellow Americans and world citizens. At the ICFC will continue the work of civic engagement, daily prayers and preaching, and having our center to be a place of learning, sharing, and dialogue for the entire community. Donations have been disabled. Please look to help other funds on gofundme or help those in need in your locality or even your close or extended family. That is we can build a network of support whevever we may be. You've done it! Thank you everyone for your outpouring of support. We have reached are initial and update target. After consulting with local police force personnel we are set to undergo a security assessment to make our Center even safer for the faithful attendees and site visitors. Anything after this point will make the facility and neighborhood even safer as the neighborhood moves into the phase of being a high access and high visibility corridor for the new CSU football stadium . We'll leave the account open for the time being for any additional amounts to be donated. Please do not feel obligated to donate. There are many great causes on the gofundme site that needs your support. We can be reached directly at admin@icfc.org for any comments, questions, or concerns. . or additional showings of support. 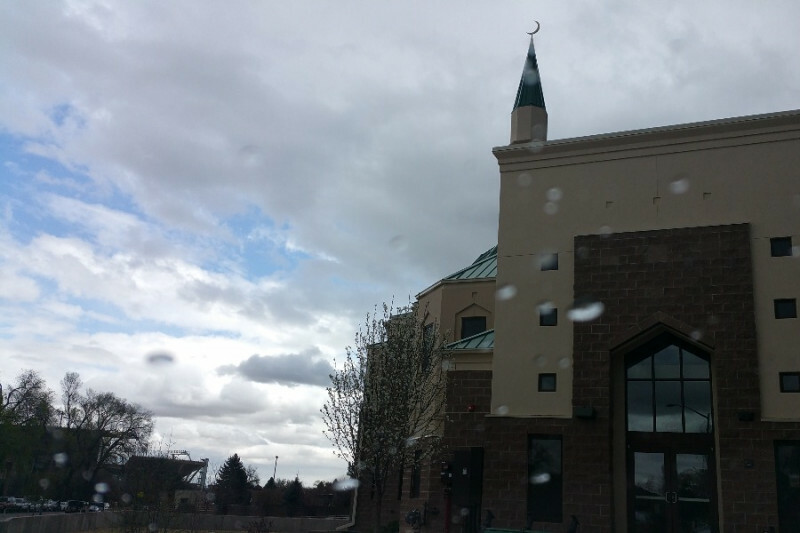 Our community was shocked to find that our Islamic Center located in the heart of Fort Collins just south of the Colorado State University campus was valdalized overnight. The criminal tried to enter our facility in the early ours of Sunday morning. After he was unsuccessful he threw boulders and a large brick through three of the rear glass door. We have always had an outpouring of support and welcoming from our fellow citizens in Fort Collins and the Northern Colorado. Many people have been asking how they can support us financially to repair the damage and improve our site security. So as a result we have made this page. Anything after this point will make the facility and neighborhood even safer as the neighborhood moves into the phase of being a high access and high visibility corridor for the new CSU football stadium . We leave the account open any additional amounts to be donated. I'm so sorry this happened, I hope this can help repair the damage and ensure your security for the future. #protectyourmuslimneighbor. My heart is with all of you.